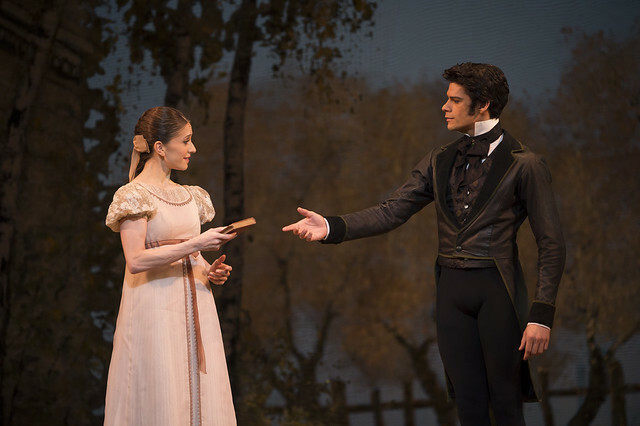 @_TSOARES and @MNunezOfficial were haunting in #ROHonegin. The more I let tonight's performance sink in the more I'm moved by it. Magical. Absolutely beautiful #ROHonegin tonight! @MNunezOfficial & @_TSOARES have amazing chemistry on stage + @VMuntagirov fantastic as Lensky! 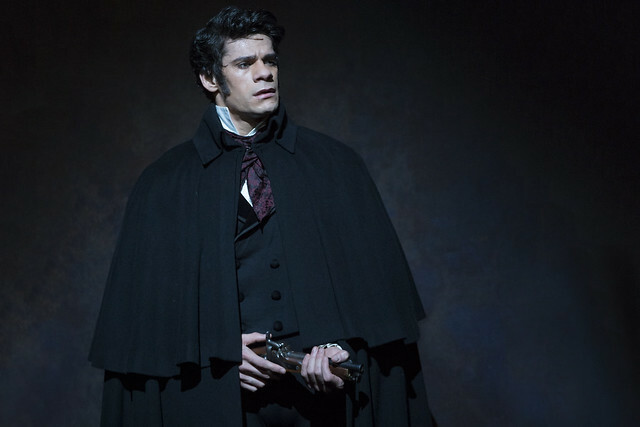 What did you think of Onegin? The production is given with generous philanthropic support from Simon and Virginia Robertson, David Hancock, Lady Jarvis, Lindsay and Sarah Tomlinson, Sir Roger and Lady Carr, The Artists' Circle and The Royal Opera House Endowment Fund. This photo is really beautiful the dancers are full of passion pathos sensuality romanticism they are Actors too the costumes the colours, the light the atmosphere everythink is superbe elegante congratulation to everyone have this Performance made! I was lucky enough to be at friday's rehearsal. Anyone with a ticket for Osipova/Golding you are in for a treat. We too were lucky enough to see Friday's rehearsal and echo KarenB's comments. So good to see Natalia Osipova back from injury and Matthew Golding as her partner. The entire cast and production were excellent and we were particularly impressed by Yasmine Naghdi's lovely Olga. We're very much looking forward to further performances and just wish the production could be made available to wider audiences via cinema and DVD. The Picture you placed on Twitter when you asked for comments was of Vadim Muntagirov. My comment would run along the lines of 'please don't shoot yourself in the foot again' (I cite Xander Parish as an example of foot v. bullet) Vadim Muntagirov is going to be a huge jewel in The Royal Ballet Crown, we need to treasure him - treat him well, we need to KEEP him!! Don't rely on your name to keep people, don't get complacent and assume people like him and Francesca Hayward will just stay put because you are The Royal Ballet. We lost an International Star in the making..a home grown boy, because he wasn't cherished. Others saw his potential and snapped him up - dont make the same silly mistake again. What sublime performances by Thiago, Marienella and Vadim; this production is even stronger than the 2013 version with the same main couple but now has the added draw of Vadim. Just superb. Will the Royal Ballet be producing a DVD of this particular version? I do hope so - I (and no doubt many of the ecstatic audience for this brilliant show) - would buy it in an instant. Glad you enjoyed the performance. Unfortunately no DVD release is scheduled. Everything about the production had me oohing and ahhing all evening. And the dancers... they had me wishing I could be young again and learn to dance just like them just for one evening. I saw Hristov in the last season of Onegin. It was a revelation. The role fitted him like it had been made to measure. He was fantastic. I saw the rehearsal and have never felt so emotionally involved as I have with that performance (of any ballet). Osipova was quite brilliant but her fellow main characters were wonderful too. Matthew Bell (Lenski) incredibly assured considering this is his first major role. We saw the amazing Osipova/Golding cast last Friday. We've never experienced such thunderous applause, foot stomping and non-stop "bravo"'s. What a fantastic performance, beautifully danced by all four main characters! Miss Natalia Osipova was amazing but we were absolutely stunned by Miss Yasmine Naghdi's exquisite portrayal of "Olga", such a musical ballerina with a gorgeous classical line. So beautiful. Mr. Matthew Ball was her lovely partner, I think it was his debut, and he too deserves praise. Well done to all the Royal Ballet dancers involved. I saw the matinee on Saturday 7th February and it was quite simply the best ballet performance I've seen in recent times at ROH. Clearly the packed audience agreed with me: whistling, cheering, roaring and standing up. I've rarely seen anything like it. All the principals were quite wonderful (Osipova etc) and the depth and richness of sheer dance was a revelation. I was in tears more than once. The music was a triumph too. I agree with Anne: somehow you've got to get it onto DVD. It's a ballet you need to savour again and again. I had tears as the final curtain fell. Nehemiah Kish was suitably dashing as Onegin and Itziar Mendizabal was a bird like and fragile Tatiana. The orchestra was amazing. I've seen just about every ballet going but never Onegin so the matinee on 7th Feb was a first, as well as seeing Osipova and Golding for the first time. What inspired dancing, not only from them but also from Naghdi and Ball - definitely a pair to watch in the future. The orchestra was superb, and the audience response duly reflected the magical performance that we had experienced from all the performers. Natalia Osipova, Matthew Golding, Yasmine Naghdi and Matthew Ball, were superb. This is a performance that truly moved me, and I will always treasure. The dancing and acting were outstanding, especially the hands which were so expressive. Thank you Natalia for developing the character so well. I saw the evening performance of Onegein on 11th Feb. I have loved it in previous seasons but was bitterly disappointed with a lacklustre cast of principals showing no passion in their clinical performances or apparent connection between their characters. It was VERY disappointing and I felt cheated of the cast I had originally paid to see. What a cast! Natalia Osipova, Matthew Golding, Yasmine Naghdi and Matthew Ball are THE perfect Onegin cast, their individual performance was filled with great passion. 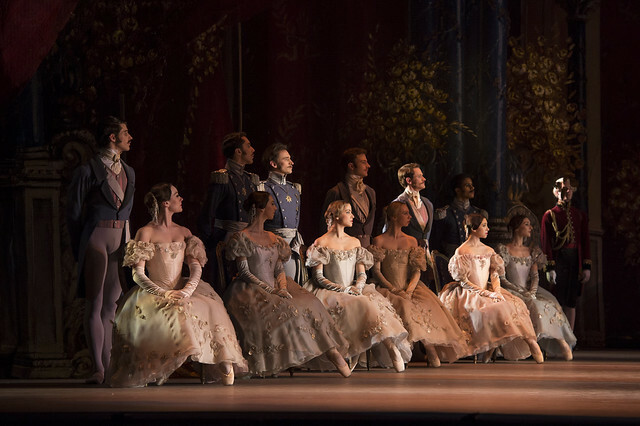 It is an Onegin performance we will never forget! How we wish we could have walked over to the ROH shop and purchased last night's performance on DVD! The Naghdi/Ball pd2 in Act I was so beautiful, so tender and lyrical. Ball's Act II solo was heartbreaking and when Naghdi "cried" out the loss of her fiancé it gave me the shivers, I could feel her pain. How could she be so naive to break this young man's heart...The Osipova and Golding Act III pd2 was simply the icing on the cake. A SUPERB night at the ROH. I thought the story was slightly weaker than other full length ballets, but made a very refreshing change from the world of fairy tale ballets and swans. The dramatic music pulled it through well. The costumes were very beautiful, particularly the corps de ballet courtiers. I would prefer the lead Onegin didn't wear black, but maybe navy, something less funereal, sets were elegant and practical. The actors/ dancers were super, and Sarah Lamb is a super actor. It's the acting that counts, dancing is not glorified gymnastics there is so much emphasis on technique our former great dancers would have got nowhere these days and yet we still idolise them. Acting is what counts. I liked the mirror dream scene, original. I felt great empathy for the final scene and I wanted Onegin to get lost and stop mucking her about making it hard for her. He missed the boat! I cared about the story. I would love it if you film it. Please do!! !